Why do you have a secret? I visited a bookstore in Norman last weekend. After taking my time browsing the aisles filled with words waiting to be read, I had this “ah ha” moment, a realization. Reading IS my hobby. Duh! I could spend days reading. Actually, no, let me rephrase that, I can read a handful of books within days because once I begin, I can’t put a book down. I have to know how the story ends. “Can You Keep a Secret?” by Sophie Kinsella made me laugh a lot. Like laughing out loud funny. The light-hearted novel is sure to humor you. Young, witty and caring Emma Corrigan has an infectious personality and some secrets. Secrets that even her best friend doesn’t know anything about. Things quickly change when Emma’s plane experiences severe turbulence. Emma’s sure she’s going to die. Out of panic, Emma reveals her most embarrassing secrets to the complete stranger sitting next to her. What Emma doesn’t know is the stranger wouldn’t be a stranger for very long. Soon she finds out the stranger on the plane, the one who knows every humiliating detail about her, is her boss. Specifically, he’s the CEO. The guy is a legend and when he visits the office, Emma’s world is turned upside down. Throughout the novel, Emma questions the choices she’s made in her life. Is she happy or has she been making decisions based on the opinions of family and friends? Kinsella depicts Emma in such a way I was able to relate to Emma in one way or another. Like I mentioned before, this story is light-hearted and fun but like any great author, Kinsella has a central theme: don’t be afraid to be yourself. The reason Emma had so many secrets was because she just lied about herself for fear of being rejected. 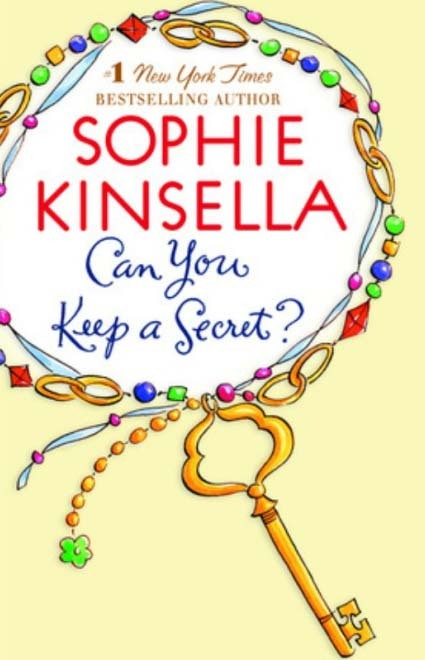 I had never read any works by author Sophie Kinsella but , oh my gosh, I look forward to her next novel.